A very useful BB loader. 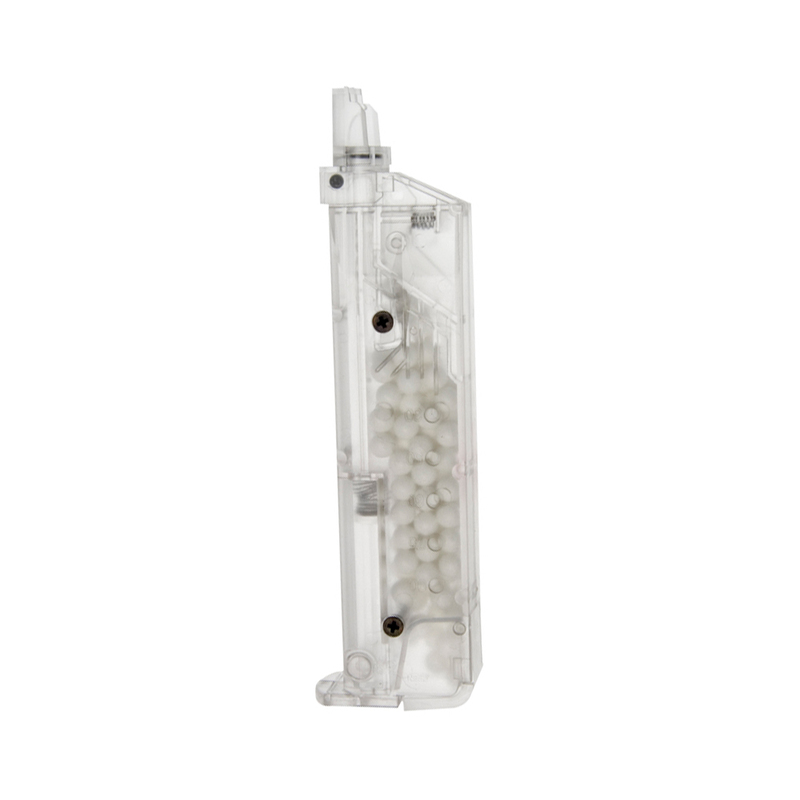 Fill it with up to one hundred BB's, then simply press the plunger while holding it to your magazine and 4 BBs are loaded at a time. 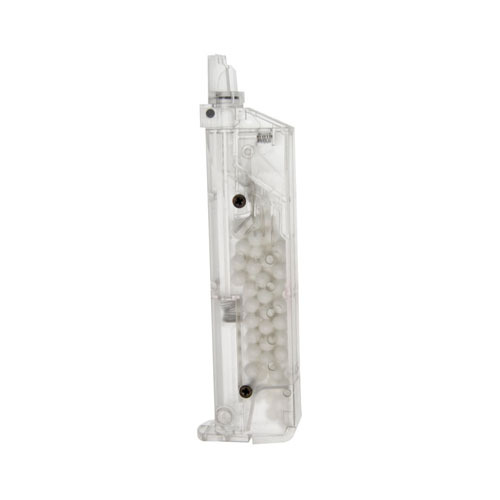 Shaped like a standard double-stack pistol magazine, it will fit into most magazine pouches, and therefore easy to bring with you into the field. Great for pistol magazines.